Local crafters make it easy to find a one-of-a-kind souvenir. 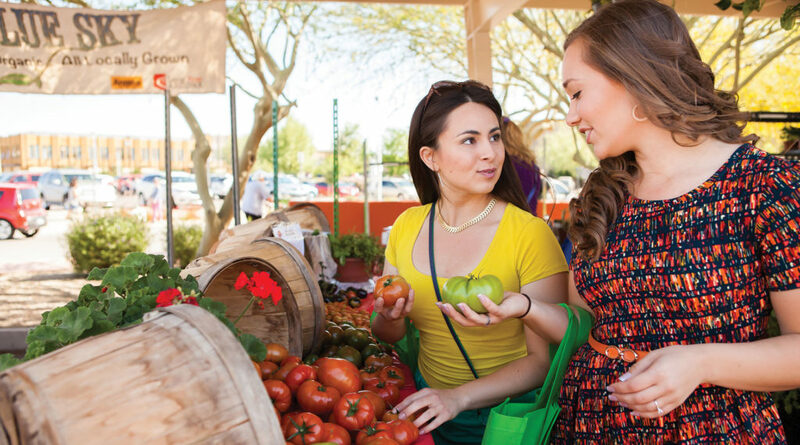 Gilbert’s agricultural heritage is reflected in its arts community. Here, visitors can experience a variety of art forms and a growing number of artisans who—like the town itself—have a strong sense of place and contemporary artistic vision. Local crafters work in fine art, laser-cut wood, food—even fruit pops. Art Intersection (Instagram @artintersection), housed in the heart of the Gilbert Heritage District, features three galleries with local photography, paintings, and pottery, all designed to give beginning, emerging, and established artists working space and airy galleries to showcase their work through juried exhibitions. “Our motto is ‘learn, create, and exhibit,'” says founder Alan Fitzgerald. “Over our seven years of operation, we’ve shown the work of 2,000 artists.” Fitzgerald repurposed a former dance academy into the galleries and working studios that now feature the exhibits as well as fine-art classes. If you’re looking for an art-themed souvenir, be sure to explore the on-site gift shop, which features works from current exhibitions for sale. An array of items line the shelves, including art photography books by renowned photographers such as Wynn Bullock, who the gallery represents, and other well-known artists like Scott Baxter, who produced the famed 100 Years 100 Ranchers photography book for the Arizona Centennial. 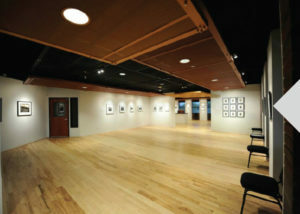 The organization also holds exhibitions designed to spark social and environmental conversations at Gallery 4 in HD South, Gilbert’s nearby arts and culture center. The just-renamed facility, which incorporates the Gilbert Historical Museum, features interactive exhibits, a window into the history of the once-tiny farm town that has grown into a vibrant family-friendly community, and a variety of classes and seminars for emerging and avid artists. HD South also hosts events as varied as a quilting show and the Gilbert Visual Arts League’s annual juried show. Offering everything from farm-fresh chemical-free produce, to honey, grass-fed beef, skin care products, and candles, the market typically has around 70 vendors. The market also welcomes a hand-picked selection of food trucks and pop-up eateries. Check out Ripe Ice Pops’ adorable 1964 Chevrolet panel truck, from which owner Blake Bigelow serves up delicious frozen treats handmade from fresh ingredients. Or, satisfy that sweet tooth with locally produced honey from Sun Valley Bees—take your pick from mesquite, wildflower, orange blossom, and even cat’s claw vine varieties. Seasonal face painting and balloon twisting—or water play in the nearby splash pad—ensure the kids enjoy the festivities, too. 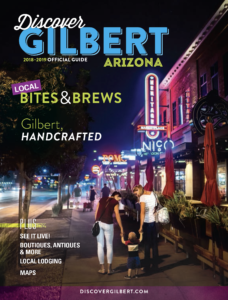 Each first and third Saturday, October through March, expand your explorations a few steps beyond the market to stroll through an array of handcrafted, juried art at the neighboring outdoor Gilbert Art Walk (@thegilbertartwalk). The event features a variety of artists and art forms as well as live music. Recycling is a hallmark of the artists represented here, including wine- and beer-bottle art, vintage postcards recreated as desert-themed artwork, and old violins and costume jewelry repurposed into beautiful home decor. Cruise down to Agritopia, Gilbert’s unique live/farm/work development, and visit with 12 of Arizona’s finest makers at Barnone. Yes, it’s an actual repurposed 1950s-era Quonset hut barn, housing a variety of top hand-crafters, including LetterCraft (@lettercraft). LetterCraft owners Brandon and Katie Young, former teachers, turned their passion for handcrafted, recycled wood products into a thriving business. 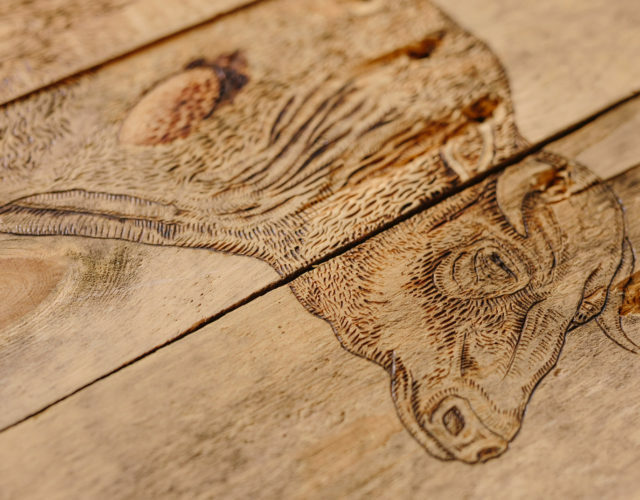 The firm’s bread-and-butter business consists of custom corporate gifts laser cut with precision equipment. “But we create products for all sorts of events,” says Brandon. “We make their visions come to life.” In addition to special orders, visitors can also purchase ready-made pieces such as celebrity face key chains, pins, and magnets. “We create items at a price that teachers can afford,” says Brandon. Barnone also features a custom machine shop, paper-craft shop, flower designer, beauty salon, and some great culinary experiences. It’s an all-in-one stop to enjoy some of the Phoenix area’s best handcrafted items—and visit with the talented, passionate people who create them.